Looking for a fun rainy day activity in Vancouver? The Vancouver Aquarium is a great place for children of all ages (yes, adults we mean you!) to explore and interact with the world that lives beneath the waves. 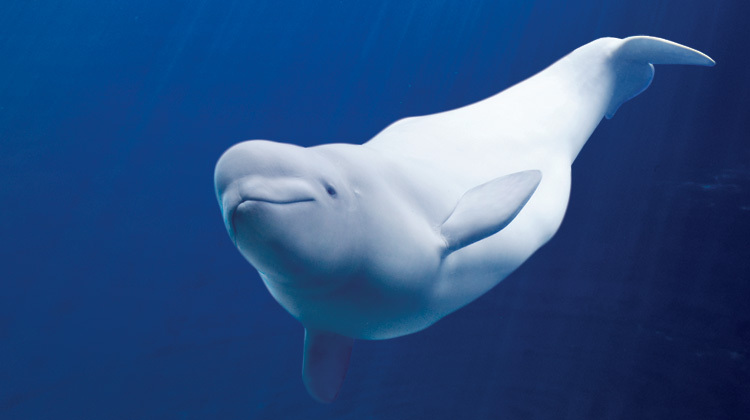 Their current Special Show, Whales Of The North, runs until February 29th and showcases the majestic beluga whale and how the Arctic's changing ecosystem is affecting grey whales, killer whales, and other wildlife. 1. Leave a comment on this blog including what your favourite kind of sea creature is! 2. Follow us on Twitter and tweet the following phrase: I entered to win a pair of #VancouverAquarium passes via @VANweloveyou http://tinyurl.com/6mbljfe #VANweloveyou RT to enter!! 3. "Like" our Facebook page and leave a comment saying you want to enter our Vancouver Aquarium contest and what your favourite sea creature is! BONUS ENTRY METHOD! - Purchase a Vancouver, we love you t-shirt. Every shirt purchase will count for three contest entries. Contest closes February 10, 2012 and winner will be notified at that time. Thank you to the Vancouver Aquarium for supporting our project. If your organization or event would like to partner with Vancouver, we love you email us and connect! Loose seal! Seriously though I'd have to say manta rays, they're awesome. Alex! Can you please send us a email with your mailing address? You have some Vancouver Aquarium tickets headed your way… congrats! Orcas are definitely my favourite! But you can't say no to dolphins, otters or starfish either. I also bought a shirt :) Love them! Penguins are by far my favorite! My family and I love the belugas,the otters and the jelly fishes! I am partial to the dolphin. Not that I've ever met one, but I think they're pretty cute! The arapaima, which the aquarium coincidentally has in their Amazon Exhibit! What could be more fascinating than the GPO (Giant Pacific Octopus)? Love the beautiful dolphins at the aquarium! They're amazing!